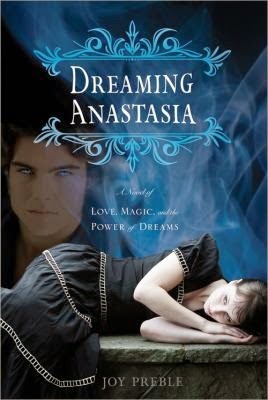 Dreaming Anastasia combines Russian folklore with the legend/myth that Anastasia Romanov, daughter of the last Tsar of Russia, is still alive. "Anastasia Romanov thought she would never feel more alone than when the gunfire started and her family began to fall around her. Surely the bullets would come for her next. But they didn't. Instead, two gnarled old hands reached for her. When she wakes up she discovers that she is in the ancient hut of the witch Baba Yaga, and that some things are worse than being dead.